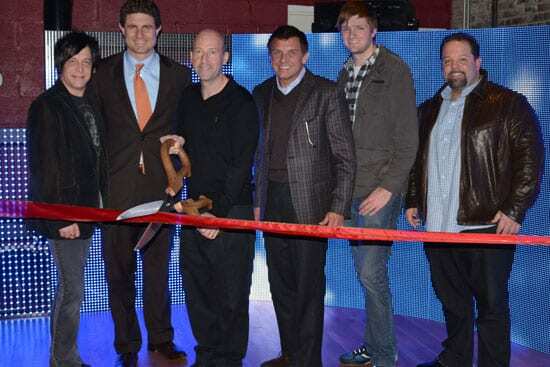 LMG Design Studio officially launched last week (Dec. 7) in Nashville with a ribbon cutting ceremony and open house. LGM, with AV lighting and support offices already in Orlando, Tampa, Las Vegas and Dallas, created the Design Studio to showcase the latest LED products, digital lighting, projection and special effects technology. Ken Gay designed the space to provide a hands-on environment for clients to brainstorm and discuss creative ideas with the latest live entertainment technology. LGM has provided AV support to some of the world’s largest convention meetings, nationally televised events, Fortune 500 company business presentations and world tours with AV equipment since 1984. The Design Studio is located in the Bailey’s Building at 408 Broadway, 4th Floor, Nashville, TN 37203.